Anyone can claim to practice public relations. Anyone. Edward Bernays, a 20th century pioneer in the field, bemoaned this development. It seems little has changed. If anything, the market is even more crowded with self-proclaimed "public relations experts." So, as a public relations professional, what can you do? How to you differentiate yourself from the legion of individuals who claim to practice public relations? You get educated. You seek training and professional development opportunities. You work to deepen your understanding of the rich tapestry that is public relations. Then, you work diligently to raise the bar for all practitioners of our craft. That’s why many public relations professionals join the Public Relations Society of America (PRSA). And, to go one step further, that’s why an increasing number of its members (as well individuals in other related organizations) seek the APR designation. 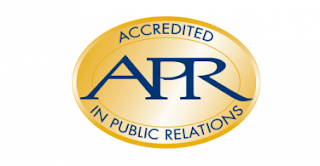 APR stands for Accredited in Public Relations. It communicates that you’ve taken a significant step forward in your career. If you have at least five years of experience in the field, you’re eligible to apply. Note that you need to earn your APR. It’s a process. You study for a period of months (depending on your experience), then take a written exam and deliver a panel presentation. In doing so, you must master public relations’ essential knowledge, skills, and abilities. Want to learn more? 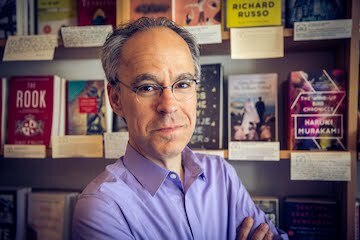 Then join me on Saturday, February 2, 2019 from 10 a.m. to 1 p.m. I’ll facilitate a special PRSA San Francisco Bay Area chapter program dedicated to the APR. You’ll hear from chapter members who recently earned their APRs. I’ll also review the application form; how to study for the written examination and prepare for the panel presentation; and point you toward other resources to help you navigate the road leading to the APR. Register here to attend the February 2, 2019 workshop. I look forward to seeing you then. In the meantime, don’t hesitate to let me know if you have any questions.